Web development becomes a very popular career. A web developer can work and is needed in companies especially in the era of information and globalization as it is now. Let’s start with the basics. You’re probably well aware that web developers build websites, but there’s much more to it than that. Web developers must also analyze user needs to ensure the proper content, graphics and underlying structure are used to meet both the goals of the user and the website’s owner. Why Web Development is a Good Career choice? 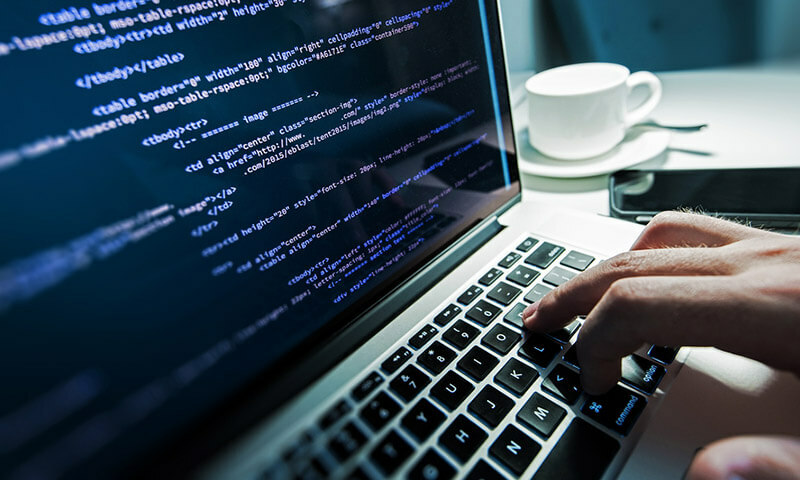 Developers are often thought of as problem solvers – and they are – however, web developers have the luxury of being able to flex their creative muscles. For front-end web developers creativity is key. You’ll be able to create first-class user experiences and charming websites. Plus, if you work for a startup, you’ll get much more creative rein. As you can imagine, web development is a creative area. You can work with UI&UX Designers and produce own project. When it comes to technological work, the job will be very dynamic and excited. 2. You can work as a freelancer or with a team. If you are web developer you can choose to work freelancer, on your own or you can work at a huge development company. It’s all up to you. You can rather work with many collegues with under the big corporate company roof. If it’s not fits your personality, you can work flexible,from home like a freelancer. 3. Rising Job: It’s demand. One main positiveness about this proffesion is being on demand. Before 1981 there is no job occuppation like web or mobile developper. Today, being developper is great because we can’t do even a small bank transaction without development and it’s unique technologies so in this case we need more people who can work in this area. 4. It provides good salary. 5. You can work in broad areas. Development has a broad area, so you can start to work at web development but you can work another business related with development proffesion. There is no limit, what you can select and do for your future career. What are some characteristics of a good web developer? There are a few inherent qualities shared by many successful web developers. After speaking with professionals in the industry we identified a few soft skills that play a pivotal role in the day-to-day operations of the job. Web developers must work with multiple members of an organization to ensure everyone’s goals are being met through the website. It’s important to maintain open lines of communication and be able to translate technical jargon into layman’s terms for other team members. If you have children, you’ve probably become a skilled simplifier when trying to explain complex subjects to your curious kiddos. If you can do a decent job of explaining why the sky is blue to a 5-year-old, you should have a pretty good handle on simplifying the language used to describe a technical problem to a client. To make it as a web developer, you need to have a natural curiosity. If you’re the type to scour YouTube and web developer blogs for tutorials and inspiration and just can’t wait to jump in and start learning new techniques, you’re on the right track. Web developers are never done learning, according to Steven Collins, co-founder of New York City-based Webb Communications. New scripts, widgets and designs are released daily so web developers must stay up to date to remain relevant in the industry. Developers are never satisfied, Collins says, so they are constantly adjusting, honing and perfecting their craft. As stated earlier, a website is never complete. Often, client work will go back and forth and the smallest details will require tedious nurturing, according to Sid Savara, senior web developer at Honolulu-based Red Aloha. When minute changes or updates are requested, it’s imperative to remain patient. This also reinforces the need for strong communication skills; the better you are able to communicate, the less likely you are to have a never-ending development process. “Most web developers I’ve encountered [suffer from] borderline obsessive compulsive disorder when it comes to checking and double-checking their code,” says Sam McRoberts, CEO of Seattle-based Vudu Marketing. It is critical for web developers to employ this extreme attention to detail, says McRoberts. One small mistake can break an entire website, so he says there’s no margin of error for web developers. Do you have expertise as a web developer? Are you looking for the best job which relates to your field around Bandung? Established since 2009, 41studio create Ruby on Rails-based softwares and deliver 200+ projects worldwide. Join our fun yet professional team now! .